First of all, you can join a home or build a home yourself, so that your facilities can be preserved for a long time, and there are time limits in the wild. When the time comes, the facilities will disappear. Everyone should pay attention to it. 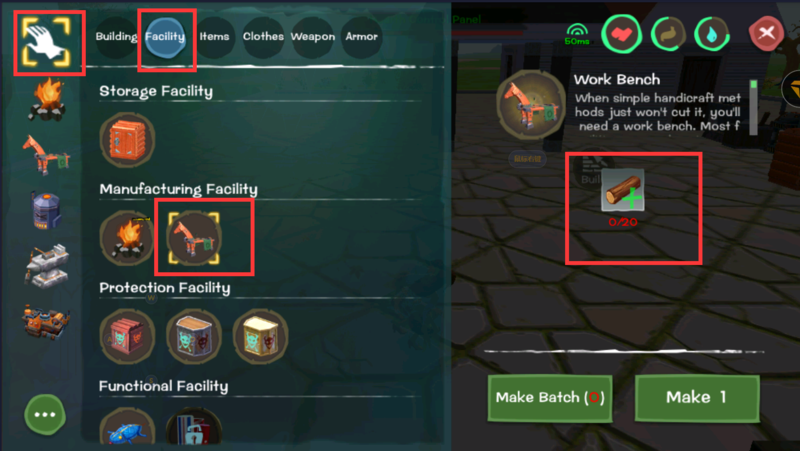 So let's first look at the basic thing in the facility should be the workbench. This picture also shows that the leftmost vertical row is the type of facility. The first small hand means that it can be made without any facilities. The bonfire is baked, and the workbench is used to make other facilities or props. Missing production tools. The material of the workbench is very simple, it is wood, and it can be done only by hand. From this picture, we can see that the workbench can make two kinds of facilities and props. The facilities are divided into storage, smelting, manufacturing, etc. You can see what materials are needed for these facilities. Another function of the workbench is to feed the props. This has a wheat feed package, etc. These are the essential parts for keeping the pet and catching other pets, so don't forget this. The so-called feed package is to use the workbench. Then let's take a look at the cooking pot. Cooking pots need iron ingots to make, how to make iron ingots, I will talk about it later, food is the basic element of life support, so let's talk about cooking first. When you put the ingredients in, some will not prompt, and some will prompt " Looks good ". If the tips look good, it means that it can be cooked successfully, such as wheat and strawberries. The strawberry pie is cooked. 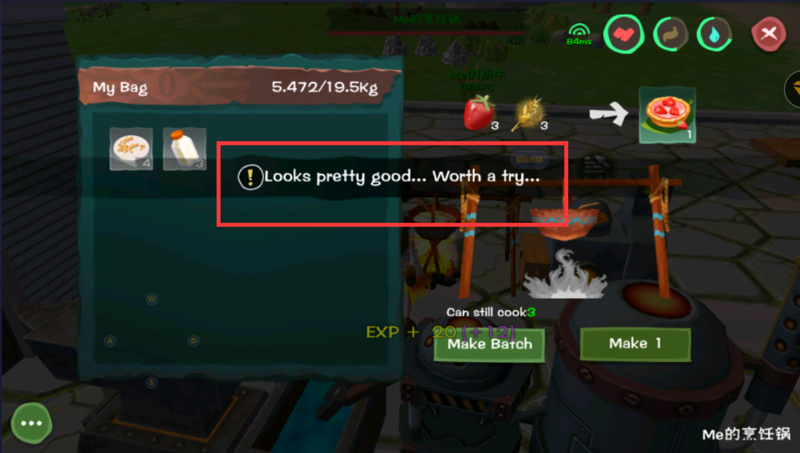 After cooking, it has the experience bonus. 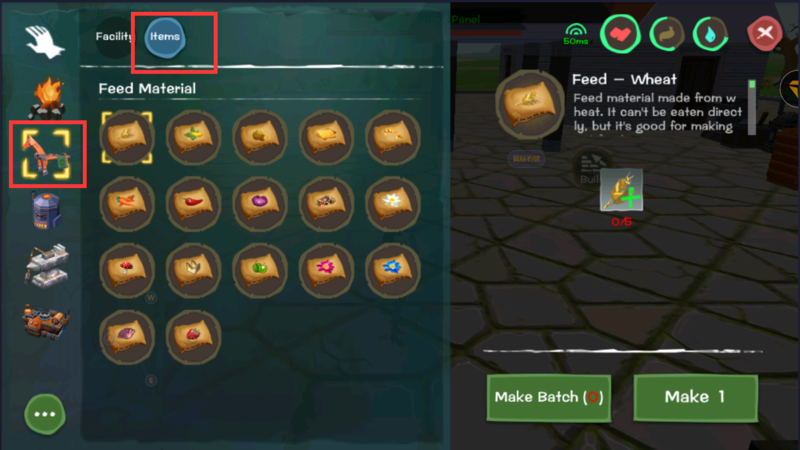 After clicking, you can take out the cooking things. You can cook up to three kinds of ingredients together. The cooking recipes have the gods to do the Raiders. If you are interested, you can check it out. So now let's talk about iron ingots, which requires a furnace. The furnace is made mainly of stone and can be made through a workbench. The melting interface of the furnace, after opening, the iron in the backpack is clicked. At this time, the iron will appear in the furnace, but how to smelt it? It is necessary to add fuel. The commonly used fuel is thatch, wood and coal. After clicking on the add, all the fuel in your backpack will appear. 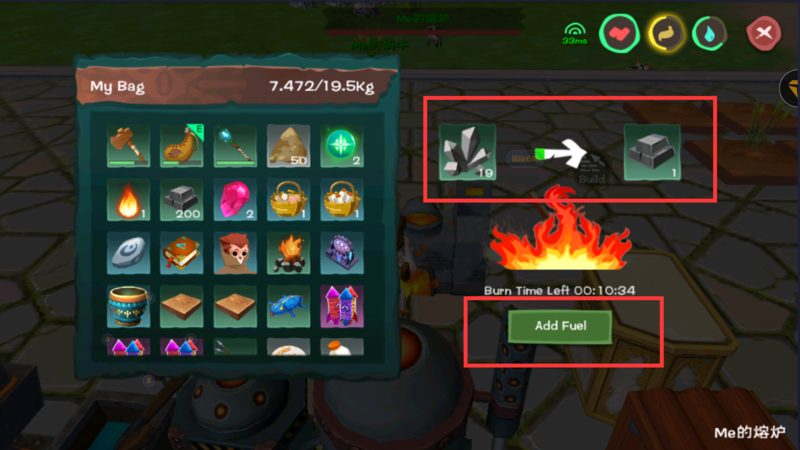 You can choose to submit it by one button, you can submit it all, or you can click on the fuel item separately. 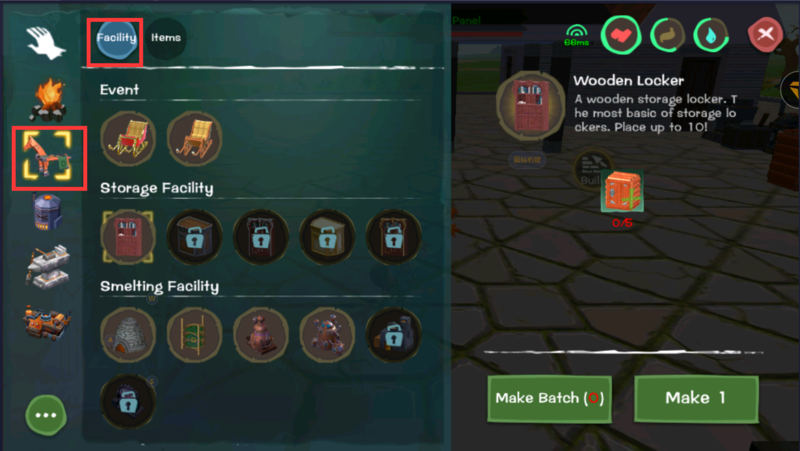 Here you can select the number to add, then finally confirm on OK.
After adding fuel confirmation, it will be automatically smelted into the items you want. Iron, silver and gold can be smelted through the furnace. Crystals, obsidian, etc. need to be melted by a magic furnace. The operation is the same. There is also a kiln, brick, floor and other necessities outside the furnace, and the operation method is the same as the furnace. After these are finished, let's take a look at the equipment after the upgrade. Good equipment can make you more resistant and hurt more. First of all, let's look at the armor armor divided into helmets, armor, pants, armor is the need for casting table, this is the interface of the casting table, you click on the type of armor, you will see what is needed, the focus is that there is an additive behind, where is the corresponding equipment type The corresponding additives can be placed to improve the quality of the armor. The weapon's material is the same as the armor. The weapon is divided into sword, bow, axe, cymbal, and sword bow. It is definitely used for blaming. The ax is dedicated to cutting trees. It is dedicated to mining. Of course, there is a special item, wood stick, wooden stick. It is a must for catching pets. Only a stick can stun and catch. Weapons are also additive, and their additives are gemstones that can be dug when digging the corresponding minerals. The drawing of the weapon is the same as the drawing of the armor. 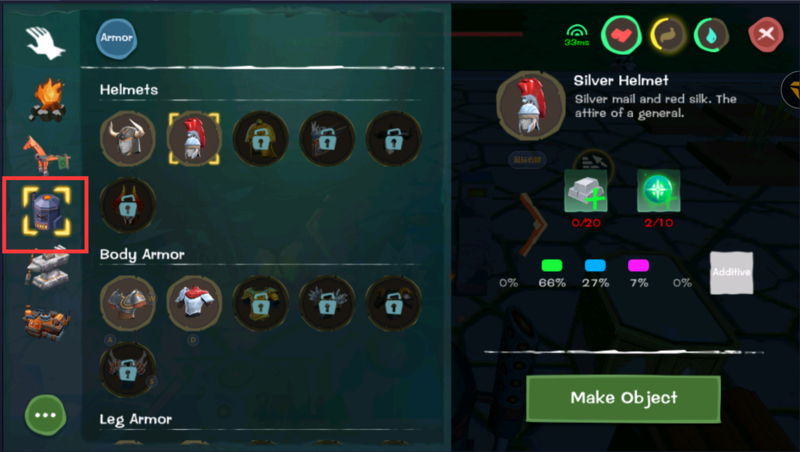 The level of the weapon is Iron level 10 Silver 20 gold 30 crystal 40 obsidian 50 ancient 53. Weapons are also divided into ordinary, sophisticated, epic and legendary, and their corresponding damage is also different. Of course, except for the axe and axe, the axe is generally used to cut trees. They pay more attention to tree damage and the scorpion is used for mining. The focus is on mine damage, so the damage can be used for these two weapons. No. No matter it is weapons and armor, it is durable. It doesn't need to be repaired by the magic crystal plus the corresponding materials. The materials are all finished mineral ingots after melting. Therefore, the furnace and the magic furnace must be done first. Now let's talk about another important thing, the enchantment. The enchantment can bring additional attributes to the equipment. The material of the enchanting table can be seen by clicking on the production page. The enchanting platform is enchanting the equipment, and it can give weapons and armor. The material of the enchanting platform is the enchanted stone, and the enchanting stone is divided into Fire, ice, electricity, the ancient battlefield enchanted stone four. The properties of each enchanted stone enchantment are also different. The three enchanted stones of the fire ice power are divided into three levels. The higher the level, the higher the random effect of the enchantment. The red fire enchantment stone is attacked. The yellow electric enchanted stone is added with tree damage. The blue ice enchanted stone is added with mineral damage. Then it is very clear. For weapons, the sword bow is attached to the magic fire, and the axe is enchanted. , Shantou enchanted ice . The last important facility is the vehicle workbench, which is a facility for motorcycles and boats. Look at the picture and find that there are many kinds of things that can be done. 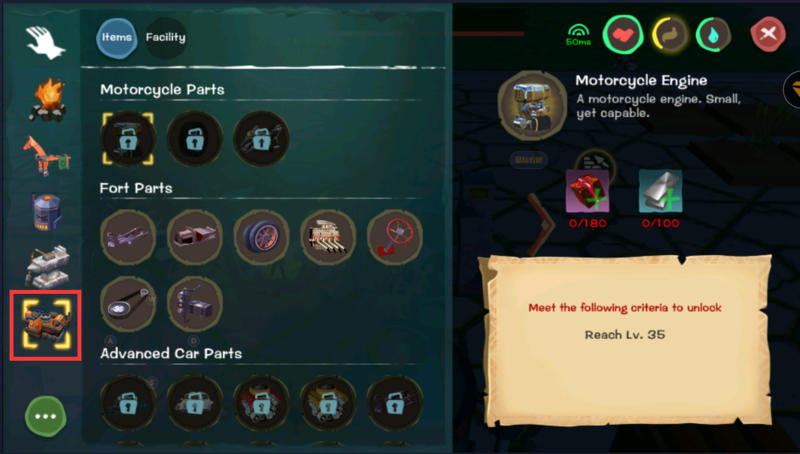 You can also choose the item classification to see the vehicle parts you need to make. When you choose what car you want to do, you can click on what material you need. Cars generally require three main raw materials: steel, refined rubber and steam stone. Having said that I do not know you have not read, I hope this post makes you a better understanding of the basics of this game, and I hope you can quickly grow through this article, discover the joys of thegame.